Albert Embankment Business centre is located on the River Thames and benefits from some great views from many of its offices for let. 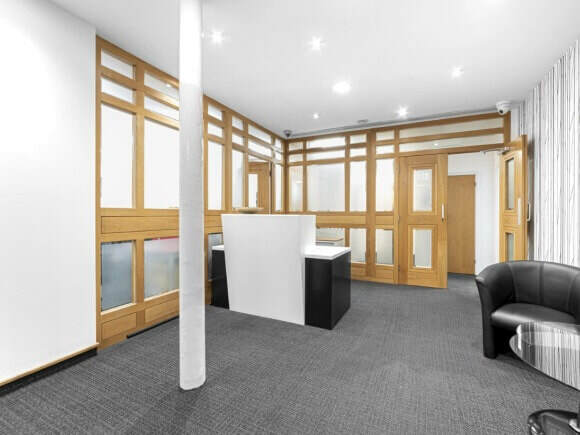 Arranged over four floors, there is a fully staffed reception on the ground floor as well as meeting room facilities that can be hired on an hourly, half or full day basis. With direct network links to Victoria mainline train station via Vauxhall, London Bridge is also not far away via the underground network. With an array of features to offer, this office space has 24-hour access to the suites and security systems are in place including CCTV. The fully furnished offices also provide all modern IT and telecoms facilities with VoIP and broadband services included.